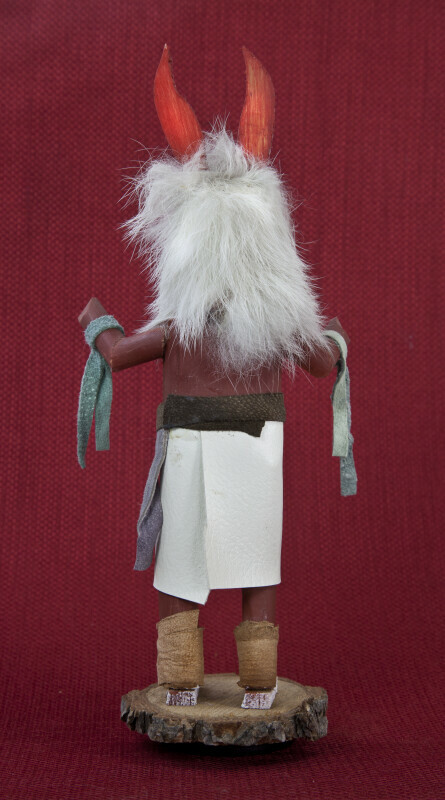 Kachina Indian doll called "Wolf"! to represent the hunter, who tracks and catches needed game animals. He makes certain that here will be enough food for the tribe. It is made of wood, painted by hand, with white rabbit fur and leather accessories. His mask is rabbit fur and his eyes, mouth and ears are made from wood. The word "Wolf" is painted on the bottom of the wood base. The figure stands 8 inches (20 cm) tall.